Four years ago, Vancouver-based choreographer Wen Wei Wang lost his mother Ying Yun to ovarian cancer. A significant influence on his becoming an artist, Wang dedicates his newest creation to her memory. Translating to “Hero Cloud” in Chinese, Ying Yun features an all-female troupe of dancers who worked with Wang to interpret his mother’s story, and in-turn expressing their own inter-sectional experiences. 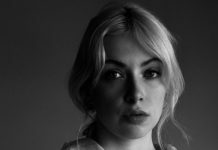 “Even though this might not be the first piece in Vancouver with an all-female cast, it is not very often that we see a dance piece that is about being a young female. While in the studio we might not verbally talk much about the issues of womanhood, the discussion seems to be always present in the physical material we are generating together,” says dancer Daria Mikhaylyuk. 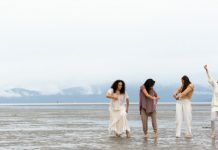 This new full-length dance piece is an extension of Wang’s first all-female performers’ creation, which began in 2017 for the SFU School of the Contemporary Arts. In Ying Yun, Wang channels and melds his emotional association to his mother with elements of Tai Chi, silence, and intentional breathing. With Ying Yun, it is Wang’s aim to investigate how dance reflects the current zeitgeist in relation to the larger global issues that women and society are grappling with today. Yin Yung plays the Scotiabank Dance Centre (677 Davie St, Vancouver) February 19-23. Visit wenweidance.ca for tickets and information.